With Olympics in full speed, I thought it appropriate to share with you my directions on how to make a large DIY Olympic Torch. 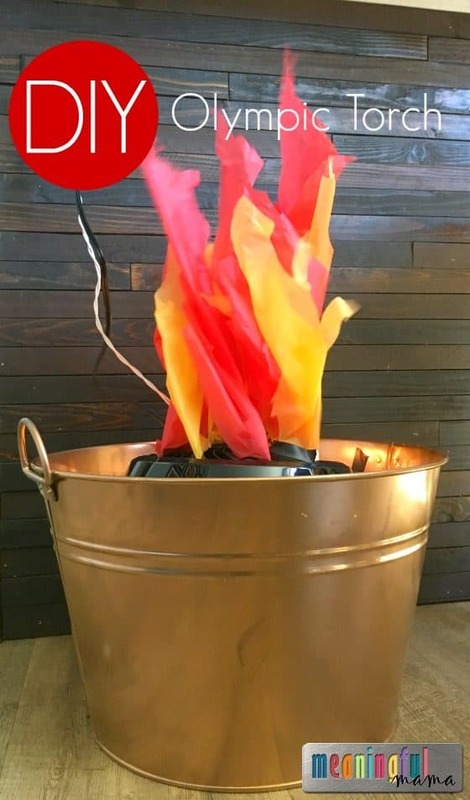 Whether you are hosting an Olympics party or creating your own Olympic themed activity for a retreat or performance, I believe you will find this tutorial extremely helpful. Our church did an Olympic themed family camp a couple years ago and asked me to create this large Olympic torch. This was the result. I’m finally bringing the instructions to you. For a really great Olympic themed craft, check out my paper plate Olympic rings. Honeywell HT-908 Turbo Force Room Air Circulator Fan, Black, 15 Inch – I tried a few different fans, and it is really important to get one with a high speed. This particular fan said “turbo force,” which apparently made a different and made this concept work. Spray paint the galvanized bucket copper. Cut the orange, red and yellow plastic tablecloths to size and at random. Place fan in the copper painted galvanized tub, positioning fan pointing upward. Put white lights around the fan. 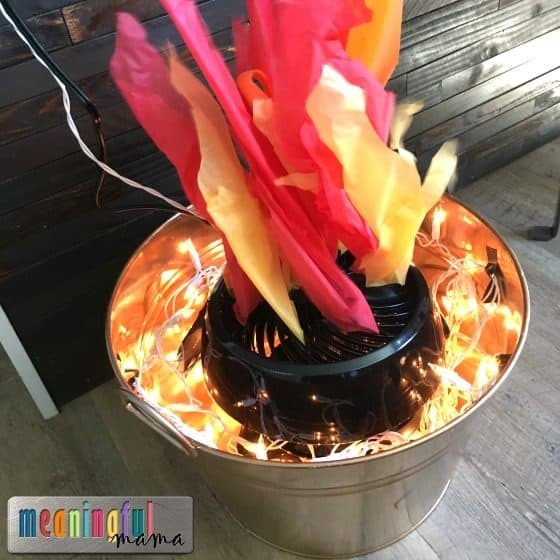 Using electrical tape, tape some of the lights toward the top of the inside of the galvanized bucket so the lights create the glow toward the top. 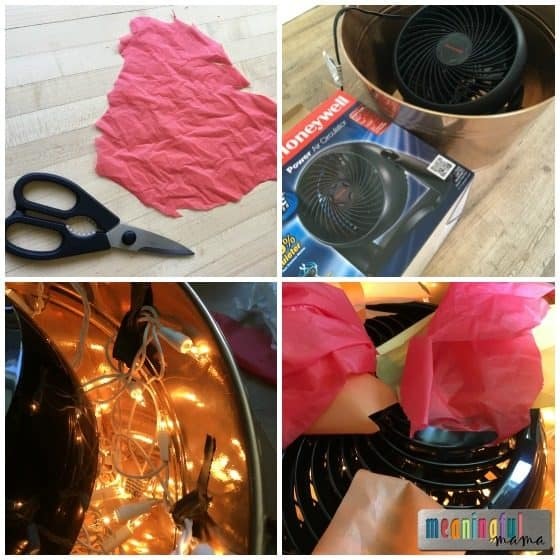 Using glue dots, attach the red, orange and yellow strips to different parts of the fan. This torch can be placed on top of a pillar to create the full affect. As you host your own Olympic themed event, I hope this helps create the mood. I think could make a great make believe fire place also. Thanks for the ides. That’s totally true! Thanks! Have fun with it.